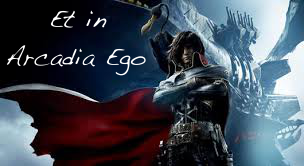 1) There’s a new Anglophone Harlock Forum!!! 1. 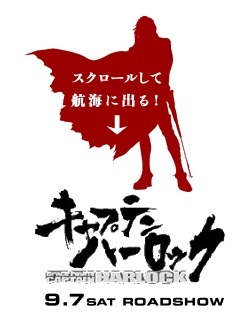 Toei has set up a Harlock film YouTube site [here]. I think it’s a great move and it kind of makes me wonder why it took them this long. Anyway, the great Watcha found out a great resource for YouTube videos, called Amara. The idea with Amara is that you can upload subtitles, and they’ll link them to the corresponding videos on YouTube, so that then you can share a link through which people can watch the video with your subtitles and without stepping on the original uploader’s toes (that said, I’m not sure if the hits counter over in YouTube goes up when you watch a video through Amara). There is so much win in this screenshot. Honestly, if you want to keep something of the plot a mystery, stay away from this trailer. GyaO! is a Yahoo.jp baby company that deals with internet, videos, and advertising. More details on them [here]. 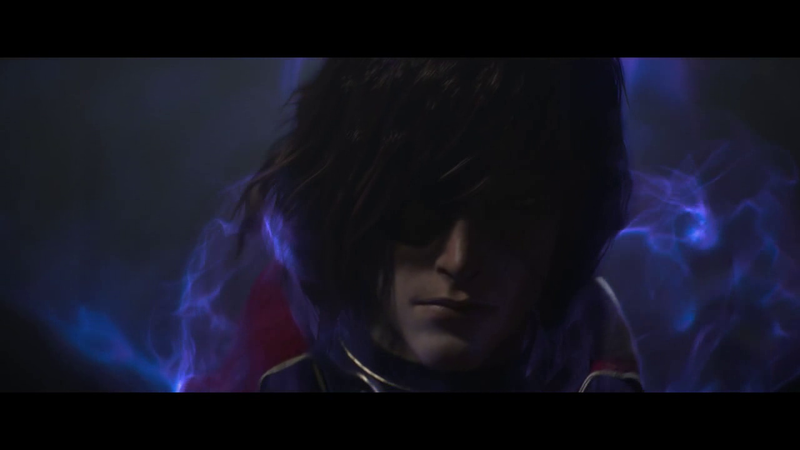 They’re hosting a new Harlock film page [here]. There’s a new/old Harlock video out. It starts with a minute of Oguri’s and Miura’s impressions on the film (Oguri plays Harlock, Miura plays Yama) in which the word “sugoi” (amazing) shows up a lot. The clip is followed by the 3 minute 11 second trailer we’ve already seen. 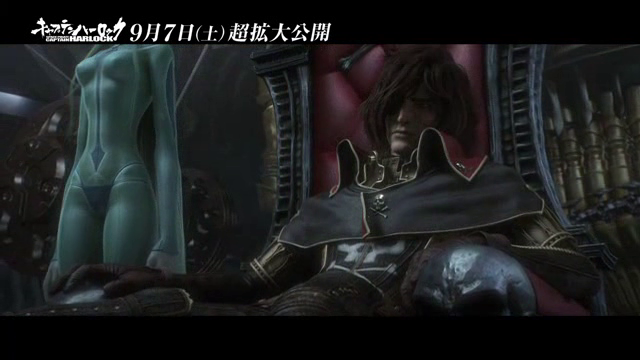 Aquí están los primeros 12 minutos de la película del Capitán Harlock, la cual estrenará en Japón el 7 de septiembre. El video está subtitulado en español (variedad borincana, por si las dudas). Si les gusta por favor enséñenselo a sus amistades, ya que necesitamos que los japoneses vean que hay mucho interés para que se traiga a los cines internacionales y se desarrolle más proyectos de este tipo. ¡Disfruten! UPDATE: The video was taken down. Sorry.